This is the front of our building. Parking is in the rear. 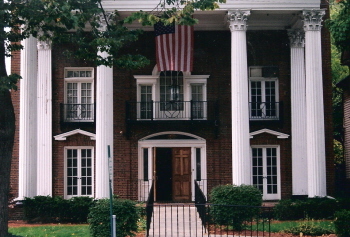 Our lodge has occupied this building since 1928. 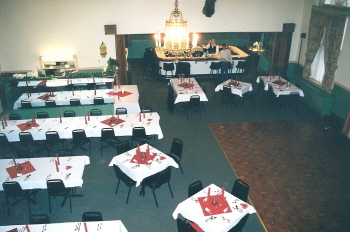 Our spacious dining room serves as a multi-function room. 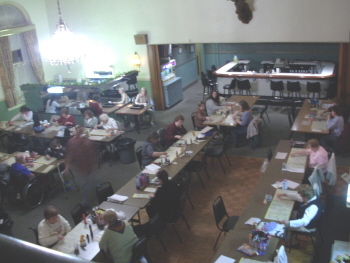 We also use this room for Christmas and Easter Parties, Friday Night Dinners and one of two rooms used for Bingo Nights. In our basement we have four USBC regulation sized Bowling Lanes. Contact us for your next tournament, league or bowling party!